The Fiachra multifuel stoves are a class leader when it comes to room heating. 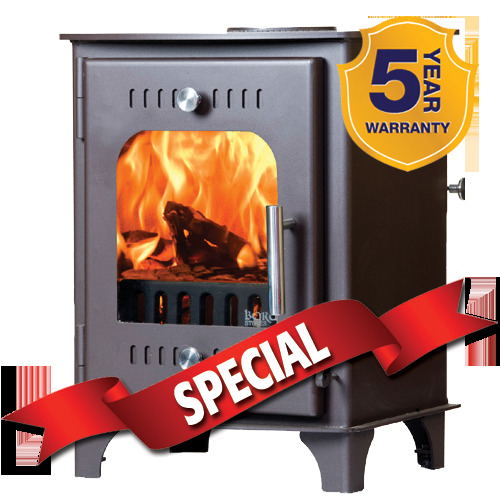 It is big enough to heat a good size room (6Kw) but small enough to sit on a standard hearth. Above image shows the Fiachra with optional Log Box.